Supplier & Manufacturer of a wide range of products which include Industrial Pumps such as Air Hydraulic Foot Pumps, Ultra-High Pressure hand/air Pumps, Electric Motor Pumps and Hydraulic Hand Pumps. We provide two type of Electric Motor Pumps i.e Single stage and two stage Electric Motor Pump for single acting and double acting cylinders with different tank capacity, flow rate, valve configuration, voltage and motor capacity. They can be avail by our customers at attractive prices. 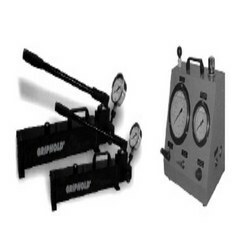 Griphold offers its clients the most dynamic series of Air Hydraulic Foot Pumps for diverse applications in different industries. 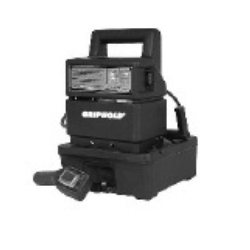 Our Air Hydraulic Foot Pumps are especially designed keeping in mind the convenience of end users and are available at the most reasonable prices. In addition we also offer customized solution depending upon the specific requirements of our clients. 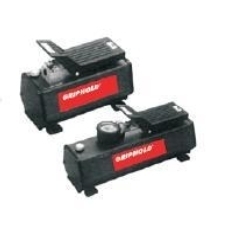 Globally recognized for performance, efficiency and reliability, Griphold offers its clients the most dynamic series of Hydraulic Hand Pumps for diverse applications in different industries. 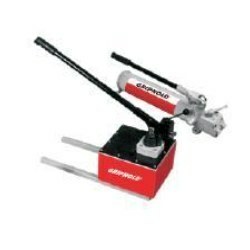 Our Hydraulic Hand Pumps are especially designed keeping in mind the convenience of end users and are available at the most reasonable prices. In addition we also offer customized solution depending upon the specific requirements of our clients.